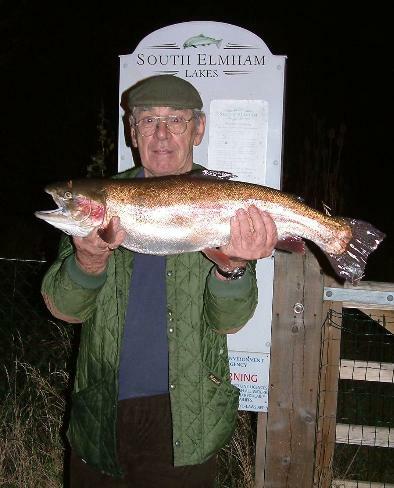 South Elmham Lakes offer peaceful quiet fly fishing for quality rainbow and brown trout. 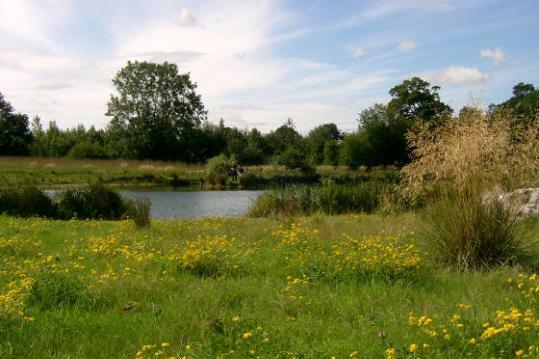 Set in grazing pasture with mature oak trees and views over open farmland. Our lakes are home to abundant wildlife, and teem with aquatic life. Our trout can often be seen rising throughout the day. Evenings can be a sight to behold with fish patroling margins along the large beds of water cress and marginal plants that surround the lakes. The largest Rainbow caught so far was 12lbs 10oz. Brownies of 4lb to 12lb are regularlarly caught and released. Our fish are known for their distinctive colours and great fighting stamina. 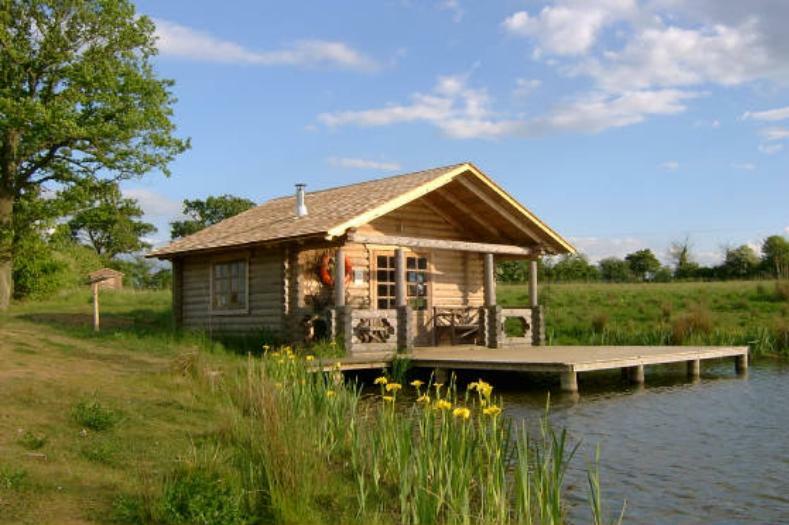 We are open all year round, and have a log cabin on site equipped with tea and coffee making facilities, and a microwave for warming your lunch. There is a wood burner for winter warmth to frozen fingers. A seperate toilet with disabled facilities is on the sight. Please visit our terms page. 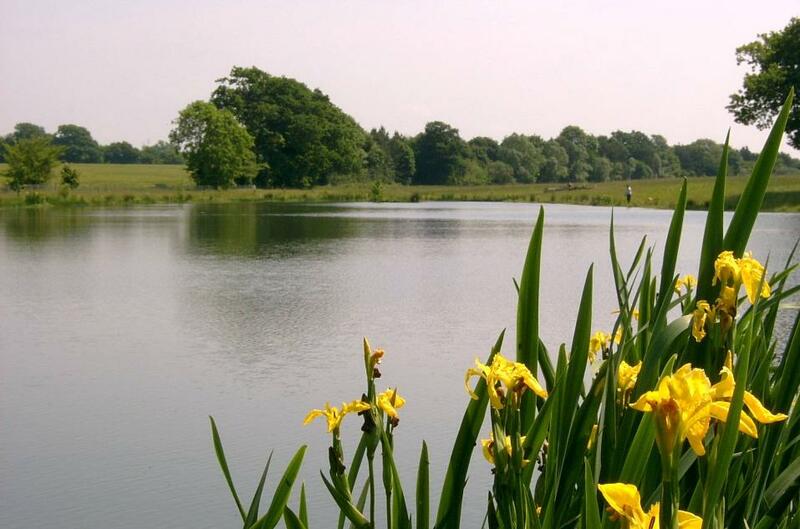 Frog Hall Lake: Is the smaller of our two lakes and is roughly an acre of water. It is crystal clear with a small island accessible by a bridge. The island is a popular starting point for many of our regular anglers. The lake is round in shape, and the western side is sheltered with mature trees. Water depth varies from 16' to shallow. There are deep gullies and underwater islands. 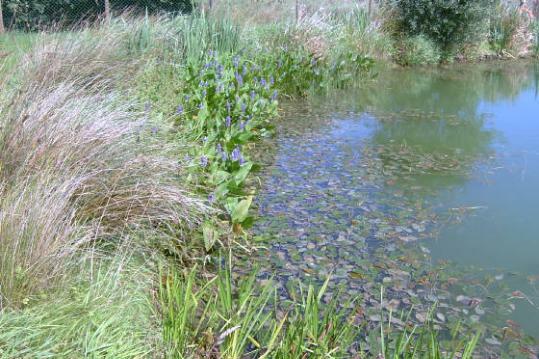 The margins vary from steep to shallow providing habitat for a variety of marginal plants and reeds, and permitting numerous angling positions. Old Hall Lake: Is much larger, long in shape, with two habitat islands, neither of which are accessible for fishing. The water is in excess of 2 acres. The deepest end is 16', and the entire lake is a mixture of deep gullies, shallows and underwater islands with steep banks to provide habitat for our trout. The long Northern side is mainly deep water with occasional shallow areas, whilst the Southern side is mainly shallow interspersed with intermediate and deeper areas within casting reach. Two mature trees provide shade along the Southern side, which is set in wild flower meadow land. Take a look at the pictures at the bottom of this page. Both lakes are stocked with hard fighting Rainbow and Brown Trout, ranging from 1.5lbs to specimen size. 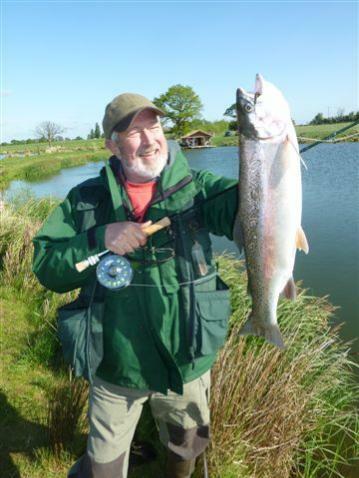 10lb and 12lb fish are regularly caught and released. The lakes are well known for their good diversity of aquatic life. May flies, Damsels and dragon flies are numerous throughout the summer. An independant survey of the site in July 2010 revealed the presence of 11 species of dragon flies. 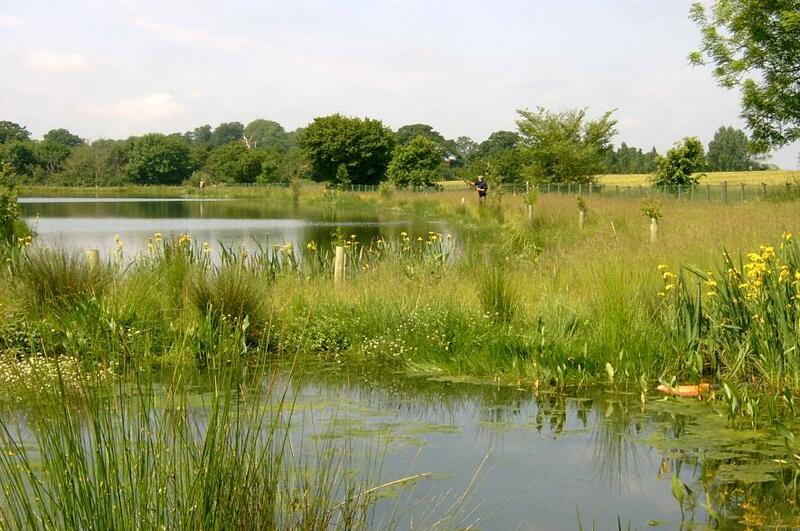 There are also two small ponds on the site providing habitat for frogs, toads, great crested newts, and water vole. Bird watchers have reported seeing barn owls, short eared owl, kingfishers, great crested grebe, osprey, and oyster catchers. A limited number of barnacle and Brent geese nest on the site each year along with a variety of wild fowl, ducks and sometimes a pair of swans. 50 species of over wintering birds were recorded in a winter survey and in a summer survey 59 species of breeding birds were recorded. New Reservoir - Opened in June 2014. Stocked with Rainbow and Browns, extending to about 2 acres. Open margins on three sides, with mature trees well behind the North facing side which provides shelter from Northerly winds There is also a newly constructed reed bed which is currently work in progress.